Based on the John le Carre novel, this story begins with the murder of political activist Tessa Quayle, played by Rachel Weisz (The Mummy). To me, Weisz has never proven to be a particularly good actress, but after seeing this performance, I stand corrected. 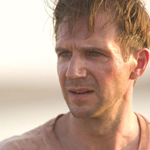 She and her husband, Justin Quayle (Ralph Fiennes, Red Dragon) an easygoing British diplomat, had moved to northern Kenya after getting married. When Justin learns of her death, we watch the story, in flashback, of them falling in love, intercut with him in mourning. But he suspects foul play in the manner of her demise. The official cause of death was a bandit raid, but Justin learns that it could potentially have been a cover-up. After finding some of her notes buried in their closet, he launches his own private investigation on what Tessa had been researching. He finds that she was unraveling a conspiracy, and it is now up to him to finish. He dives into the harrowing details of her research on AIDS victims in Africa and the involvement of a large pharmaceutical company. His determination to solve the puzzle becomes suicidal; the deeper he digs, the more his life is threatened by the same people who killed Tessa. The screenplay, while being enlightening and intelligent, gets a little preachy at times, but is delivered beautifully by Fiennes and Weisz. With the non-stop suspense and endless information, Meirelles doesn’t even leave room to blink; nor do we want to, with the beautiful cinematography and spectacular acting. This film will appease anyone looking for a sharp, meaningful picture.